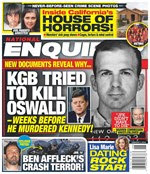 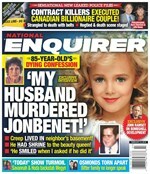 The National Enquirer, famous for tabloid headlines and covering important topics like celebrity scandals, gossip, UFO's and space aliens has just been hip-checked by CNN, which will now dominate the magazine racks at checkout lines nationwide. 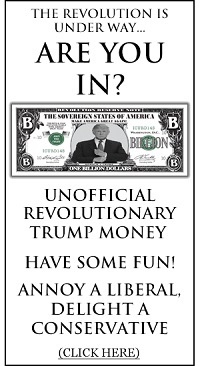 Honestly, the 40# brains at CNN were apparently not content to rest on their laurels and old tagline "is that true, or did you hear it on CNN?" and are sending a team to interview a jailed Russian prostitute in Thailand, because Trump.